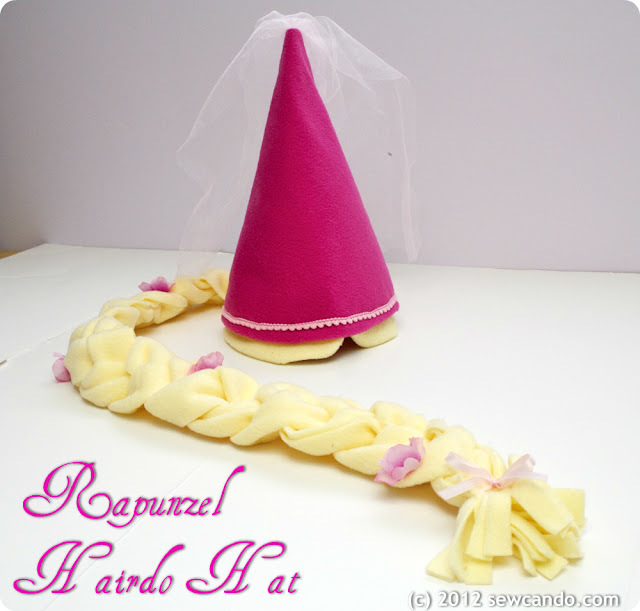 Today I thought I'd share something I completed a while back for a special customer: Rapunzel Hairdo Hats. At Christmastime, a friend of mine asked if I could make some custom hairdo hats for her three little girls. 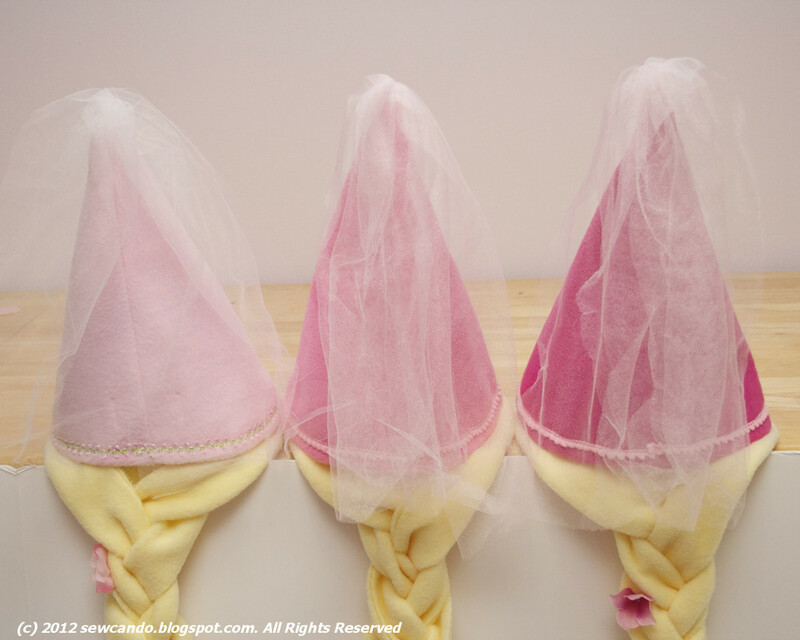 They loved the movie Tangled & pretending to be Rapunzel, so I made them these hats for their favorite fairy tale playtime. Does it sound a little crazy to say even though I'm a grown woman I secretly want to wear one too? These were a big hit with the three little princesses, so knowing they love wearing them is probably as good as being able to wear one myself! How stinken cute is she. 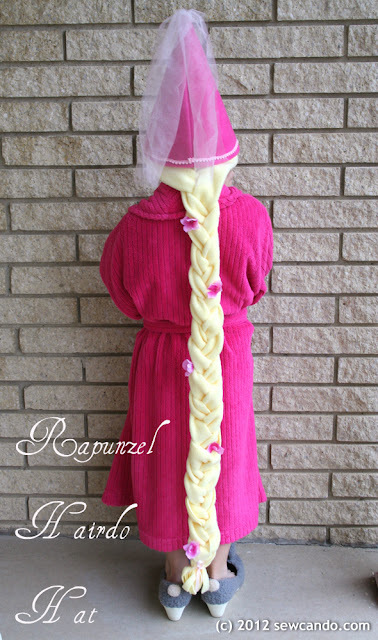 Is it wrong I want a rapunzel hairdo too! LOL Great work. Mindie, I'm glad I'm not the only one! Wish I had these skills when I was a kid - would never have been bored!! Very clever...love how it turned out. 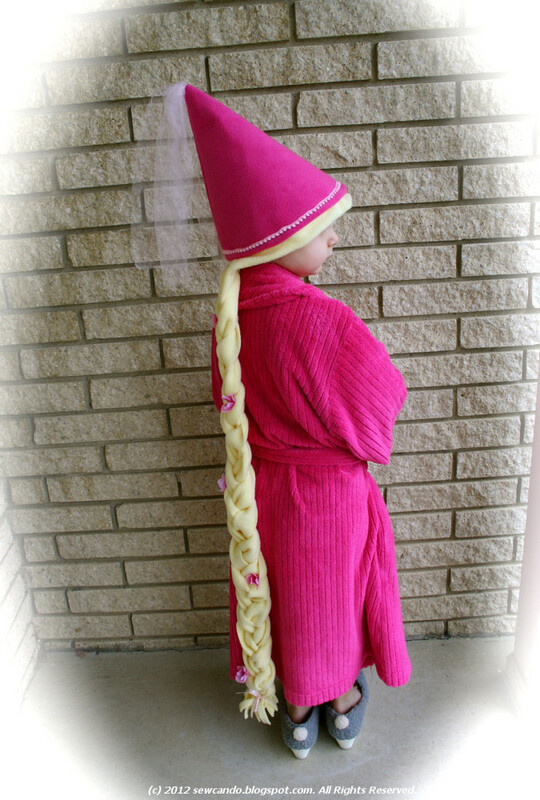 The little model is possibly the cutest Rapunzel ever. This is such a great gift for little girls! I also love how you thought the whole thing through with the different shades of pink! 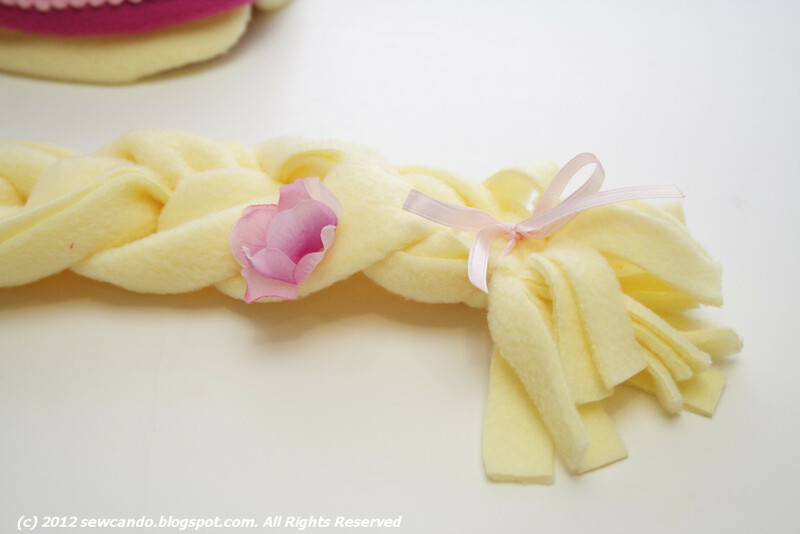 Love the idea of using fleece instead of yarn. What a great idea!!!! Have a fabulous weekend! Too cute! I'm going to have to make this for my little cousin-- she loves Tangled! Such a cute idea! 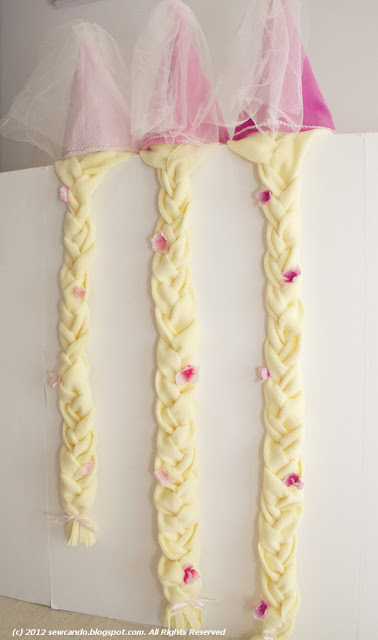 When my girls were little I made them long "hair" wigs. I sewed layers of looped yarn around little caps shaped like beanies. I don't think I even have a photo! So cute! We made similar hair but it keeps falling off. The hat is a great idea! Thanks for linking up at Thematic Thursday. Yes, I can say with certainty, they are gorgeous, and it rounded out our Rapunzel-themed Christmas for the girls very nicely. Cheryl, you are amazing, because not only do you have great ideas, but outstanding execution of your ideas! love the look of the fleece as opposed to yarn! genius!!! thanks for linking up to make it monday! Wow, so cute! I'd love to have you link this up to my party at http://scrapbookingez.blogspot.com/2012/03/anything-goes-linky-party_08.html. Thanks for sharing! Those are darling! I would love one for my niece when she gets a bit older. Those hats are adorable Cheryl! 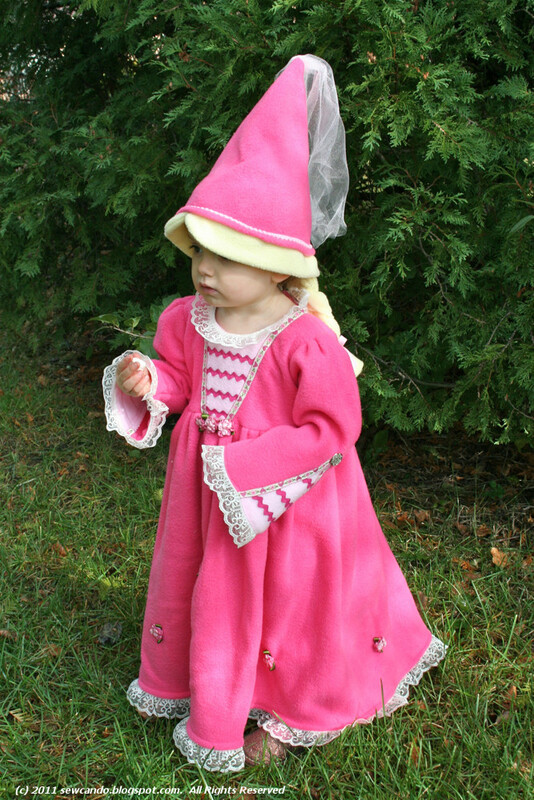 I'm sure any little girl would LOVE one for dress up and play time!